The Northern Cape (Afrikaans: ; Tswana: ) is the largest and most sparsely populated province of South Africa. It was created in 1994 when the Cape Province was split up. Its capital is Kimberley. It includes the Kalahari Gemsbok National Park, part of the Kgalagadi Transfrontier Park, an international park shared with Botswana. It also includes the Augrabies Falls and the diamond mining regions in Kimberley and Alexander Bay. The Namaqualand region in the west is famous for its Namaqualand daisies. The southern towns of De Aar and Colesberg, in the Great Karoo, are major transport nodes between Johannesburg, Cape Town and Port Elizabeth. In the northeast, Kuruman is famous as a mission station and also for its eye. The Orange River flows through the province, forming the borders with the Free State in the southeast and with Namibia to the northwest. The river is also used to irrigate the many vineyards in the arid region near Upington. Native speakers of Afrikaans comprise a higher percentage of the population in the Northern Cape than in any other province. The Northern Capes four official languages are Afrikaans, Tswana, Xhosa, and English. Minorities speak the other official languages of South Africa, and a few people speak indigenous languages such as Nama and Khwe. The provincial motto, Sa ||a !a?si u?si (“We go to a better life”), is in the N?u language of the N?n?e (?Khomani) people. It was given in 1997 by one of the languages last speakers, Ms. Elsie Vaalbooi of Rietfontein, who has since died. It was South Africas first officially registered motto in a Khoisan language. Subsequently, South Africas national motto, !Ke e /xarra //ke, was derived from the extinct Northern Cape ?Xam language. The precolonial history of the Northern Cape is reflected in a rich, mainly Stone Age, archaeological heritage. Cave sites include Wonderwerk Cave near Kuruman, which has a uniquely long sequence stretching from the turn of the twentieth century at the surface to more than 1 million (and possibly nearly 2 million) years in its basal layer (where stone tools, occurring in very low density, may be Oldowan). Many sites across the province, mostly in open air locales or in sediments alongside rivers or pans, document Earlier, Middle and Later Stone Age habitation. From Later Stone Age times, mainly, there is a wealth of rock art sites – most of which are in the form of rock engravings such as at Wildebeest Kuil and many sites in the area known as ?Xam -ka !kau, in the Karoo. They occur on hilltops, slopes, rock outcrops and occasionally (as in the case of Driekops Eiland near Kimberley), in a river bed. In the north eastern part of the province there are sites attributable to the Iron Age such as Dithakong. 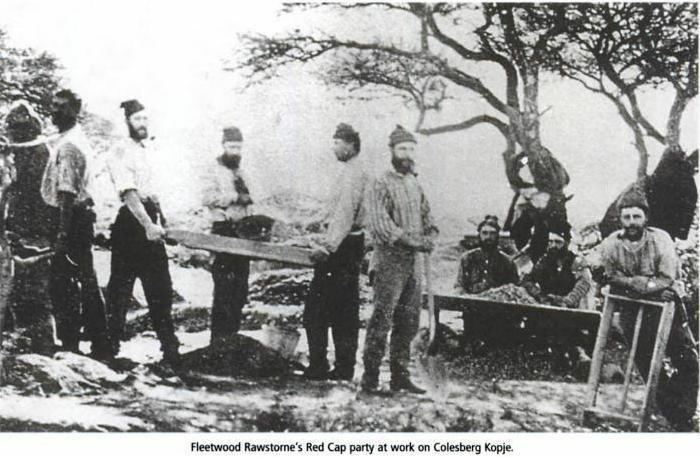 Environmental factors have meant that the spread of Iron Age farming westwards (from the 17th century – but dating from the early first millennium AD in the eastern part of South Africa) was constrained mainly to the area east of the Langeberg Mountains, but with evidence of influence as far as the Upington area in the eighteenth century. From that period the archaeological record also reflects the development of a complex colonial frontier when precolonial social formations were considerably disrupted and there is an increasing fabric heavy imprint of built structures, ash-heaps, and so on. The copper mines of Namaqualand and the diamond rush to the Kimberley area resulted in industrial archaeological landscapes in those areas which herald the modern era in South African history. All archaeological traces in the Northern Cape that are greater than 100 years old are automatically protected by the South African Heritage Resources Act, while some are formally protected by declaration as either Provincial Heritage Sites (e.g. Wildebeest Kuil and Nooitgedacht) or National Heritage Sites (e.g. Wonderwerk Cave). The archaeology of the Richtersveld is part of the universal cultural value recognised in the area’s listing as a World Heritage Site, while sites included on South Africas Tentative List for World Heritage inscription include Wonderwerk Cave and the ?Xam and ?Khomani heartland. The Northern Cape is South Africas largest province, and distances between towns are enormous due to its sparse population. Its size is just shy of the size of the American state of Montana and slightly larger than that of Germany. The province is dominated by the Karoo Basin and consists mostly of sedimentary rocks and some Dolerite intrusions. The south and south-east of the province is high-lying (1200m-1900m) in the Roggeveld and Nuweveld districts. The west coast is dominated by the Namaqualand region, famous for its spring flowers. This area is hilly to mountainous and consists of Granites and other metamorphic rocks. The central areas are generally flat with interspersed salt pans. Kimberlite intrusions punctuate the Karoo rocks, giving the province its most precious natural resource, Diamonds. 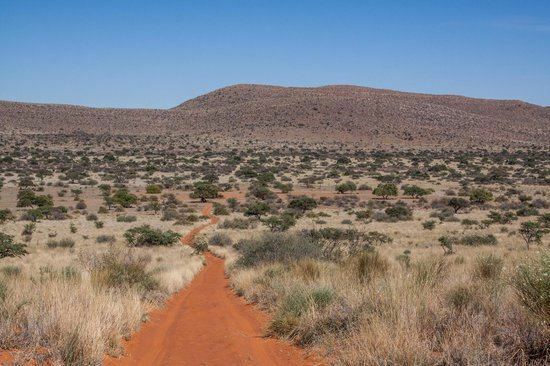 The north is primarily Kalahari Desert, characterised by parallel red sand dunes and acacia tree dry savanna. Most famous for the diamond mines around Kimberley, the Northern Cape also has a substantial agricultural area around the Orange River, including most of South Africas sultana vineyards. Some Wine of Origin areas have been demarcated. The Orange River also attracts visitors who enjoy rafting tours around Vioolsdrif. Extensive sheep raising is the basis of the economy in the southern Karoo areas of the province. Northern Norway is surrounded by some of the richest seas in the world, and seafood is the main source for traditional cuisine. However, agricultural produce has existed for at least 3,000 years in parts of the area (Helgeland, Salten, Lofoten, Harstad-Kvæfjord). In addition to fishing, each family traditionally had a small farm with a few cows (see Pietro Querinis shipwrecked at Røst in 1432), sheep or goats (goats being preferred in many places due to their superior adaptation to the rough and mountainous terrain found in much of Northern Norway) and had small grain fields (mostly barley). After the introduction (and somewhat later acceptance) of potatoes from the Americas, these became a main staple in much of Northern Norway, as well as many other parts of Norway. Agriculture gradually becomes less important as a food source as one moves further north, and in the northern half (north of Balsfjord/Tromsø area) was usually of minor importance and certainly less important than fishing or Sami reindeer nomadic pastoralism. Hunting has been important ever since the stone age, and the comparatively large areas of sparsely settled valleys, fells and mountains still hold wildlife. In the winter, the codfish comes to the coastal waters to spawn, especially to the cod fisheries of Lofoten. Mølja, boiled codfish with liver and roe, is a delicacy that today is served in the best restaurants. In the summer, the coalfish, or saithe, bites, and fresh saithe is often served on the beach, boiled in seawater over an open fire, or fried (typically the smaller coalfish). Halibut is traditional Christmas food. Most fish is served plainly poached, only accompanied by boiled potatoes, carrots and possibly fried bacon. A more particular kind of fish is "gammelsei", saithe that has been conserved for a year or more. Other traditions are lutefisk and boknafisk, the latter made from stockfish, and in Nordland often from herring. Seawolf and rose fish are regarded as good food, the latter often eaten salted and poached, with the brain (krus) highly regarded, sometimes fried with onions. In addition to cod, herring and potatoes were traditional staple foods (except in the most northern area). Salmon has long traditions as food along the rivers, and also trout which are common also in the numerous lakes. In the latest decades consumption has increased in correspondence with increased salmon fish farming; smoked salmon is very popular, often on open sandwiches, alone or together with boiled or scrambled eggs or salad. Traditionally, northerners regarded shellfish and prawns as bait, but lately they have developed a taste for it, and the freshest and most succulent prawns and shellfish are easily obtainable all along the coast. Shark meat has traditionally not been used as food, even if some can grow nearly 10 metres (33 ft) long. In later years, the large Red king crab has invaded Norwegian waters from the east and, having reached west to Hammerfest, are now served in the finest restaurants. The large sea bird colonies along the coast provided eggs for the local population, most of these are now protected by law. However, in Tromsø, sea gull eggs and beer from the local brewery is still a highly regarded dish to enjoy in the sun of late spring. Tender whale meat is usually served as steaks, whereas seals are an acquired taste, due to the smell. However, when processed into "Barents ham", it gets more palatable. Fresh seal meat is served at the end of the hunting season in spring, and Tromsø is the place to look for it. Reindeer are often served as finnebiff, thin slices in a cream sauce. Reindeer filets have become more popular in high-end restaurants in recent years, but the price can be prohibitive as the reindeer industry is shielded from market forces by the Norwegian government (in essence, it is treated as a vital component of Sami culture, rather than a competitive industry, which means there is little pressure to actually sell the meat products). Lamb meat from sheep following the retreating snow line up the hills and mountains to get the most nutritious fresh vegetation throughout summer is highly regarded by the locals, and research seem to indicate that a varied diet does influence the taste of the meat. Game meat includes mountain hare, rock ptarmigan, willow grouse and moose. Foods with dairy as an important ingredient include waffles, pancakes and rømmegrøt (sour-cream porridge), the latter always served with sugar and cinnamon. None of the aforementioned are distinctly Northern Norwegian foods, however, but are popular throughout Norway. There are a number of local traditions in this long region, including goat cheese from Balsfjord, Blanklefse and other variations of lefse from Helgeland, and a number of variations of reindeer, an integral part of traditional Sami culture. Wild berries have long traditions in the local cuisine, and the most sought after is the cloudberry, used in marmalade, desserts and cakes. Other popular wild berries are bilberries, lingonberry, raspberry (southern half of region, also cultivated in some private gardens), and there are also a number of less well known berries used for food. Mushrooms are common in the forests from late July to September and also has seen some use in traditional food. The use of kitchen gardens is limited by climatic factors, but still has a long history in the southern half of the region. Rhubarb and redcurrant has been used for more than 100 years; redcurrant also grows naturally in much of the region, blackcurrant is also common in gardens. In addition to potatoes and carrots, rutabaga and sometimes cabbage have traditionally been grown (very little in Finnmark). Many wild plants were used for medical purposes or as spices, such as Garden Angelica, but this has become rare in modern times. More lately is the imported strawberry which has become popular and are grown locally (mostly southern half of region). The unique growing conditions, with ripening in 24-hr daylight and modest warmth is sometimes claimed to enhance flavor. Bioforsk, with research in terrestrial effects of climate and subarctic agriculture, has branches in four places in Northern Norway – Tromsø, Bodø, Tjøtta and Svanhovd in Sør-Varanger.